Craftmade Titan® Indoor ceiling fan comes with 100-Watt halogen lamp. It has five 52-Inch blades in black/white pine finish that compliments any decor. It measures 24.92-Inch x 13.97-Inch x 10.28-Inch. Blade has pitch of 13-degree. 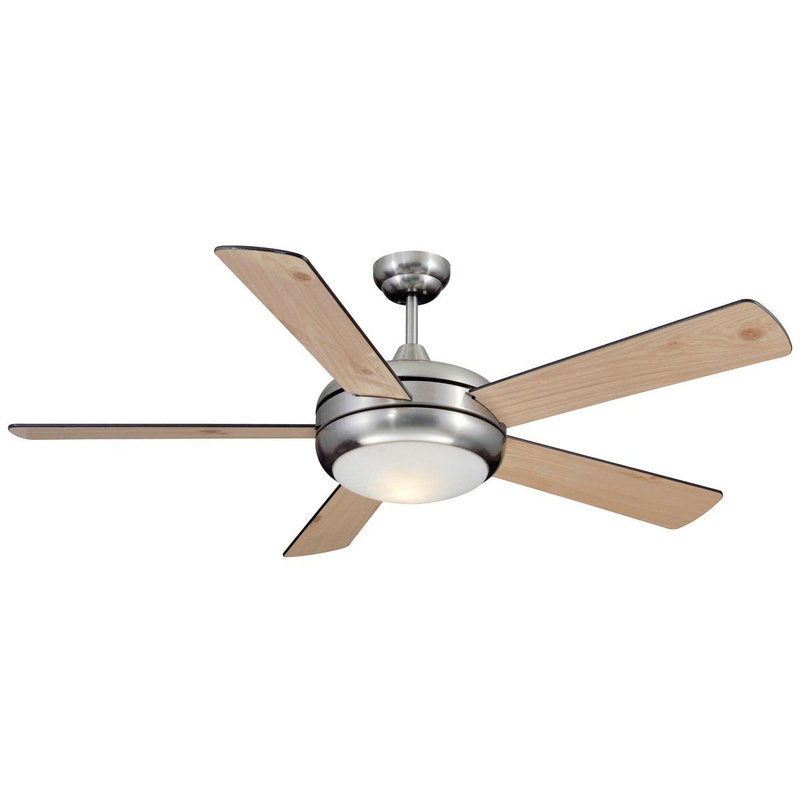 Satin chrome finished fan has opal glass shade that offers elegance. It has voltage rating of 120-Volts and current rating of 1.94-Amps at high-speed.